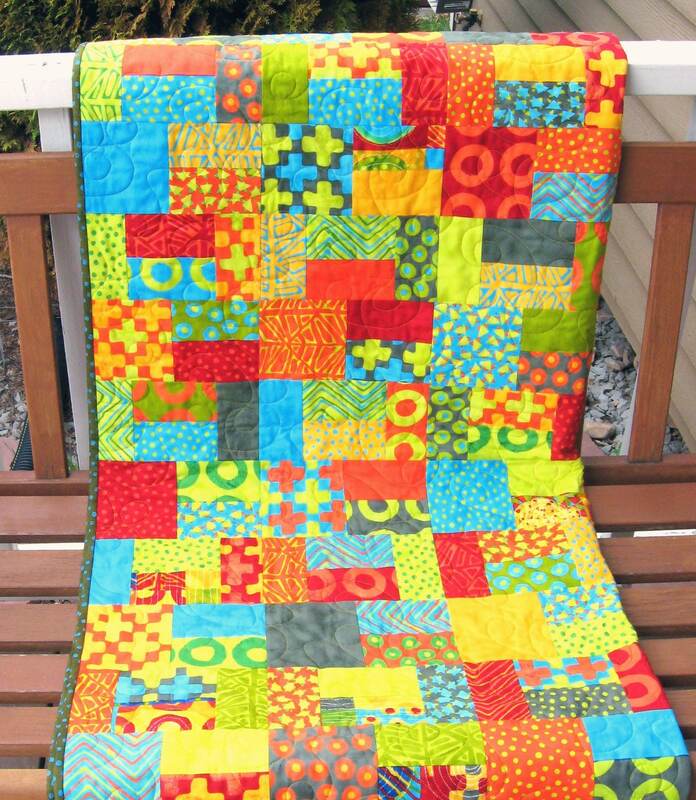 This modern quilt features bright beautiful bright colors. Do you need a pop of color somewhere in your home? Have a corner that needs brightening? Then this quilt is for you! The primitive markings in a rainbow of bright colors makes this a perfect pick-me-up for that special spot. It would be so fun for a child's room. 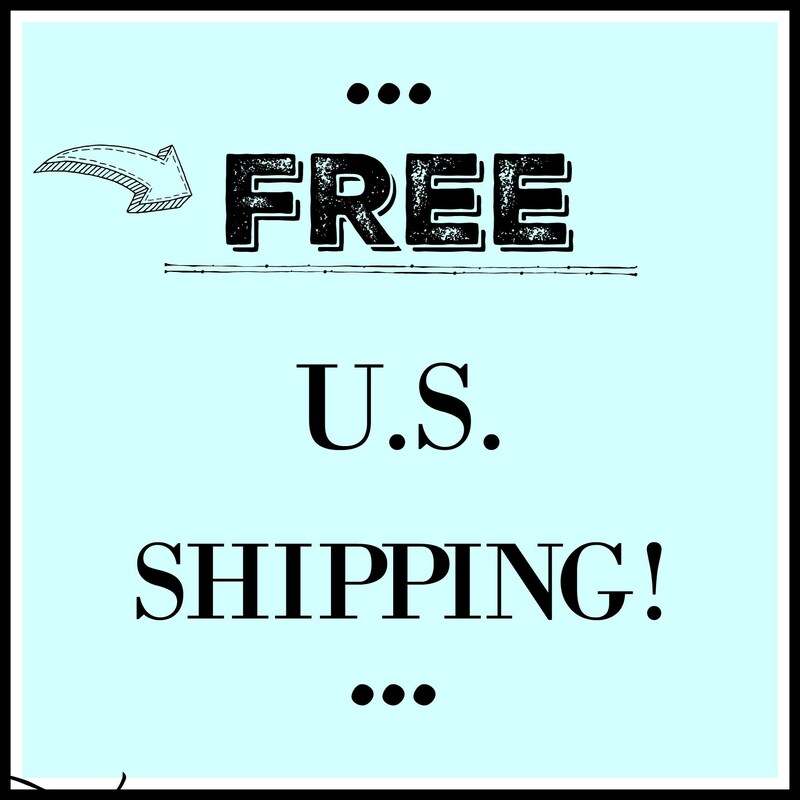 FREE U.S. 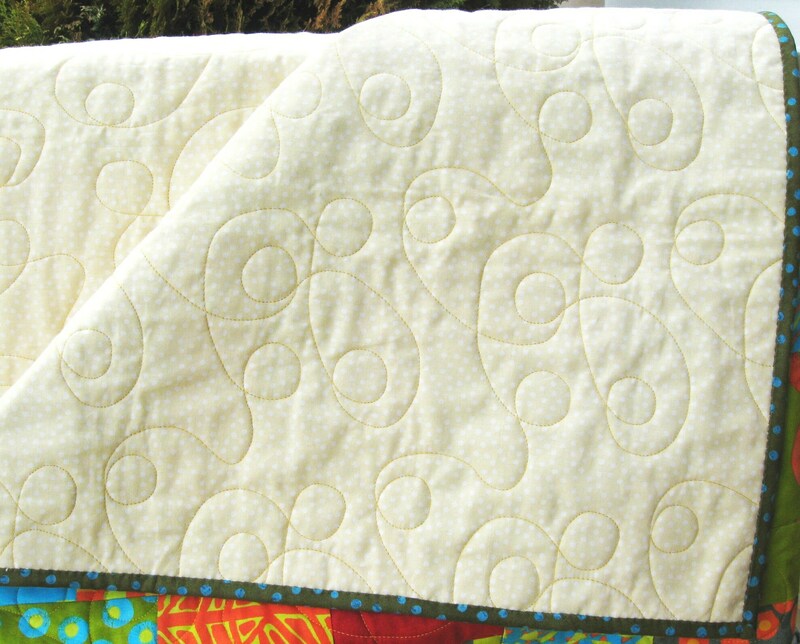 SHIPPING FOR THIS LOVELY QUILT! The quilt measures 48" x 64". 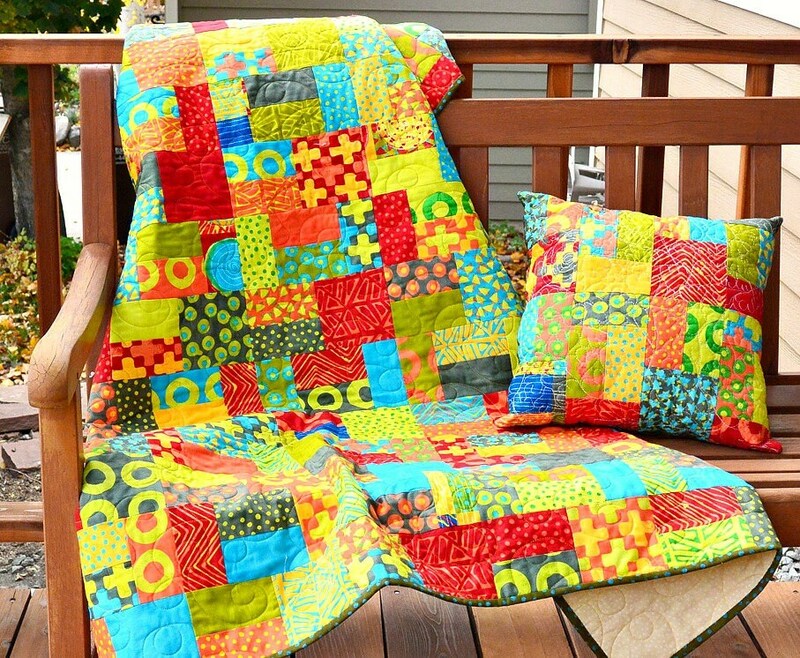 This quilt comes with its own 12" x1 2" throw pillow for no extra charge! 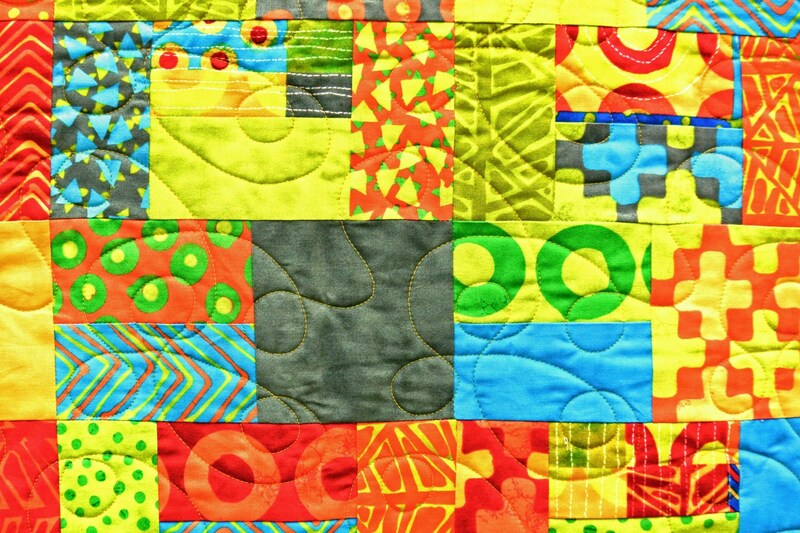 I love sewing with modern, bright colors. When choosing fabrics, it's the brights that my eye is drawn to. Bright colors can really "awaken" a room.